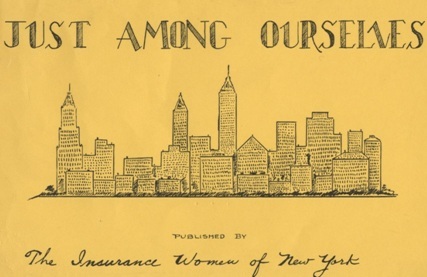 The Insurance Women of New York (IWNY) was formed in 1934. It was one of the first insurance women’s organizations. In 1984, the organization was renamed National Association of Insurance Women – New York City. This collection is comprised of records from the IWNY including newsletters, meeting minutes, reports, flyers, mailings, and memorabilia. This entry was posted in Organizational Records and tagged scrapbooks, women and insurance. Bookmark the permalink.